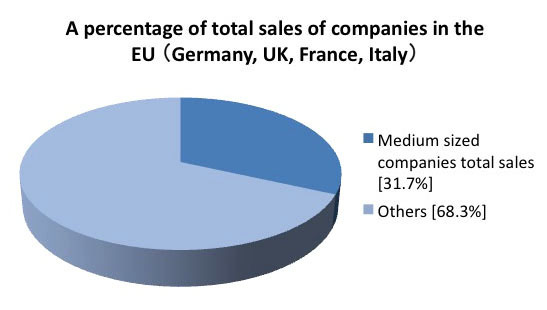 If we join forces, the supply and demand of an international market can be promoted. 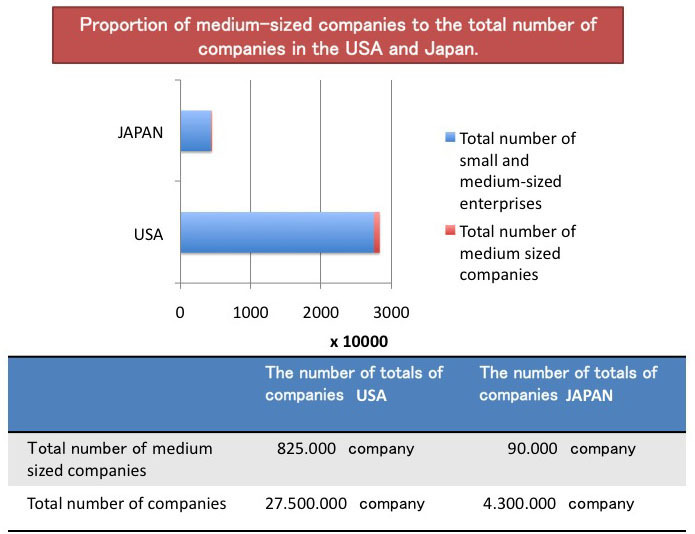 Our target is not only major companies, but also powerful medium-sized blue chip companies. 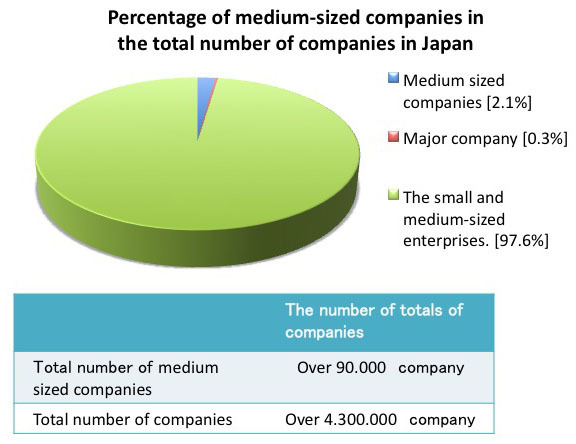 *Total number of small and medium-sized enterprises in Japan: 4.3 million companies. 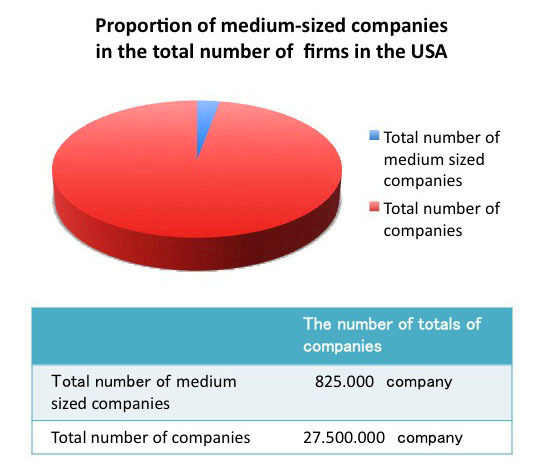 *Total number of small and medium-sized enterprises in USA: 27.5 million companies. 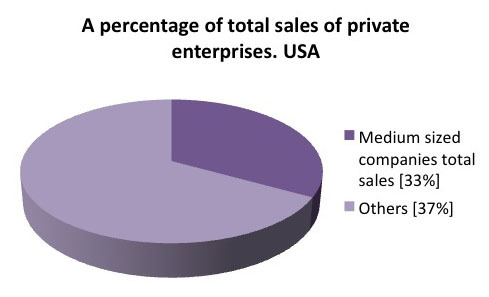 Although the percentage of medium sized blue chip companies is only 2.1%, the total sales percentage is over 30% of the entire. 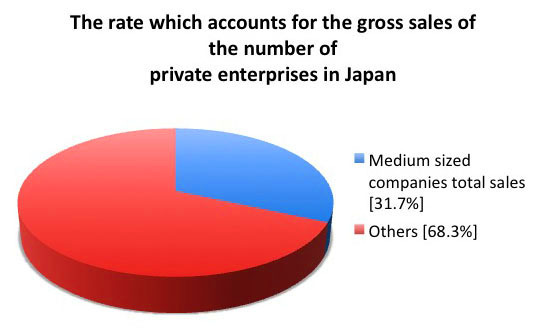 For example, the domestic economy of Japan is supported by 99.7% of small and medium-sized enterprises.